Every now and then an exhibition comes around that is so innovative, it's reminiscent of the Crystal Palace Great Exhibition in 1851. Fusing technology with experiential techniques will ultimately give your attendees the best experience you can possibly achieve. How do you create an event that will stick in the minds of those who visit for years to come? Follow these steps and yours might as well. Exhibition installation is a bit of a science. Over the years, through trials and tribulations, event organizers come to the realization of what really works and what doesn't. The main goal is to boost attendee engagement. You want people to interact with your exhibit, and not simply look at it. Create an event people can interact with. All booths and areas should be visible. Don't make it difficult for the attendee to find what they want, whether it be a product or a piece of art. When it comes to designing the layout, make sure someone at the entrance to the exhibit can clearly see where the exit is – and everything in-between. It should hold the viewer's attention. Exhibits that have something unique about them, and coincidentally get attendees to stay longer, tend to have better return on investment. This is where your creativity and years of experience can really shine. Do something out of the box. Professionalism should be the focus. Don't use old materials to save a dollar, and make sure there aren't any typos on copy. Pour your heart and soul into the minor details of an event. These things often go overlooked, but can dissuade attendees from staying longer. Your ultimate goal should be creating a layout design that allows for comfortable movement, creative engagement and easy-to-find segments. Doing so will make the exhibition much more enjoyable for attendees. Technology – it's a part of nearly every event or exhibition that's hosted nowadays. Yours shouldn't be the exception. Part of creating a great exhibition is doing something different from the status quo. One way to host an experiential event is by fusing technology with the more nondescript parts of it. "Consider your exhibition and journey and attendees will too." According to Customer Think, you should consider your exhibition a journey or adventure. From the very moment people step in the doors, you want them to be engaged as a whole. Consider having an app developer create an interactive, detailed map of the floor. This can be an outlet for booth managers to schedule appointments, or for attendees to find products and wares more quickly. Other ways to create a more interactive experience at your exhibition include contest giveaways and cross-brand interaction. Exhibitions these days can use technology as support – instead of streamers or banners, enlist the help of light shows and digital signage. All of it well help your attendees feel more engaged. 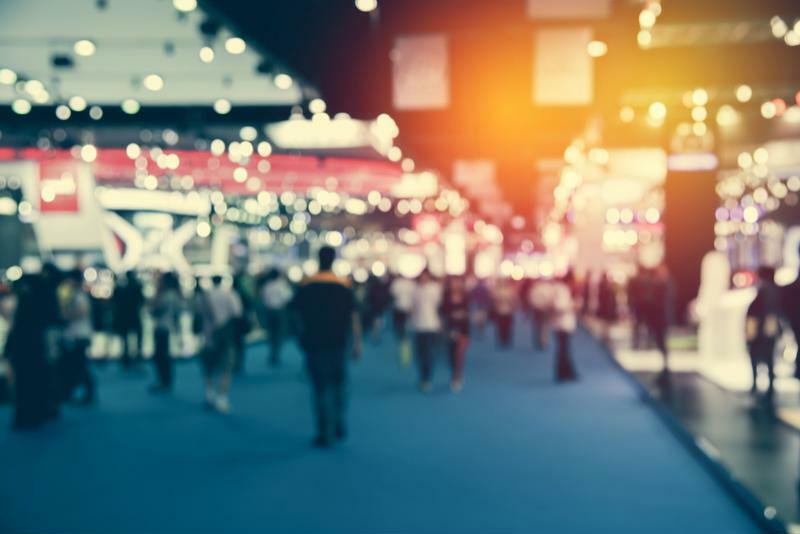 A common, overlooked part of setting up an exhibition, event or trade show is always what happens next. After you've executed your strategy, the attendees have come and gone and you're dismantling everything, take a few moments to reminisce with your team. What did you try that was new this year? Did it work? What could have been done better? Was time management ever an issue? These are all important questions to ask yourself so you can improve moving forward. Reach out on social media to attendees and ask them for their experience – the main part of hosting an experiential event or exhibition. You may find that an affordable part of your event was the best thing for many people, while an expensive decoration you thought was a "must have" went unnoticed.